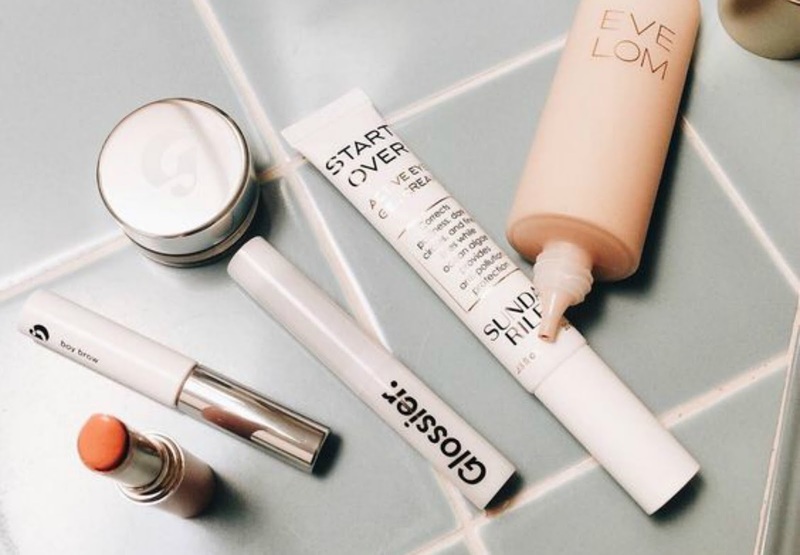 One thing all of us know but not always take into account is that, just like food, cosmetics have expiration dates, and using expired products might trigger breakouts or cause more serious skin problems. Not all cosmetic companies show expiration dates as clear on their products, some just have the PAO (Period After Opening) symbol on the lid such as 6M (meaning the product will last up to 6 months after opened). But some others don't come with a clear sign to help us know when to stop using them. I've learned the hard way, so I'm leaving this simple guide to help you all learn the easy way. FOUNDATION - 1 to 2 years: Liquid and cream foundations usually last up to a year. However, if you notice a different smell, color or texture before the year, consider replacing it, especially if your skin is acne-prone. This rule also applies to liquid concealer. Powder foundation lasts up to 2 years. POWDER AND BLUSH - 2 years: Products such as pressed powder, blush, bronzer, and eyeshadow usually last two full years. Cleaning your makeup brushes every week helps extend the life of these products as well. EYELINER - 6 months to 2 years: The life of the eyeliner depends on whether it's liquid or pencil. While liquid eyeliners should be replaced every six months because of their liquid consistency, a pencil eyeliner can last up to two years, since sharpening it keeps it fresh and clean, just remember to keep the tap closed tightly. LIPSTICK - 1 to 2 years: Most brands of lipstick usually last two full years before they become dry or dark. PRO TIP: Use a lip brush to prevent direct contact with your lips. When it comes to lipgloss and lip balm, they should be replaced every year. MASCARA - 4 to 6 months: Expired mascara can cause serious eye infections. Because of its vulnerability to bacteria, it's the beauty product that lasts the shortest. Consider replacing it every 4 to 6 months, or sooner if your eyes show a different reaction. PRO TIP: Don't pump it! This only dries the product faster. Instead, move the wand in circular motion inside the tube. NAIL POLISH - 2 years: Most nail polishes show their expiration dates on the back of the bottle, but in case they don't, they usually last two years. Also, they're the easiest to notice when they've expired because of their drastic change of smell. PERFUME - 10 years: Fragrances have a life of 10 years, but it all depends on the ingredients. When you notice a lighter color or a different smell, toss it away. - Keep products away from sunlight, since UV rays spoil them faster. - Don't share products and brushes with others to avoid spreading germs and bacteria. - Clean your tools with a cosmetic sanitizer or baby shampoo once a week and replace brushes every three years. Keep in mind that the longevity of each beauty product depends on the ingredients it contains and the care and use you give to them. Every brand has a different 'life expectancy' for each of their products, and there's no one better to test the results than you. Whenever you start noticing a change in color or smell, a different reaction to your skin, or less efficiency, take it as a clear sign to replace. Image via cheetah is the new black.